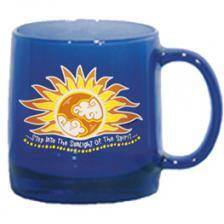 Here is our bright new sunlight mug... This has a three color imprint on a 13 oz. blue glass mug.